Let’s venture to the second star to the right, and straight on ‘til morning! This week, come immerse yourself into the world of lost boys, pirates, fairies, the Darling family, and Peter Pan. The story of Peter Pan is that of a boy who flies into the Darling nursery one night and takes the children far away to Neverland on the adventure of a lifetime. West Arts Productions is on a mission to make this story come to life. The shows will be this Thursday, January 31st, Friday, February 1st, Thursday, February 7th, and Friday, February 8th. All shows will begin at 7 pm, with a quick West Arts Performance Ensemble performance before the show. Admission will be $10 for adults and $8 for children and seniors. Seating is assigned so you may want to get their early, or order your ticket online. To do this, or just to find more information, visit Westartsproductions.com. The show will be located here, at Stacey Middle School. To see the show, go to the Multi-Purpose Room and receive your ticket in the foyer. Overall, this show is not one you’ll want to miss. 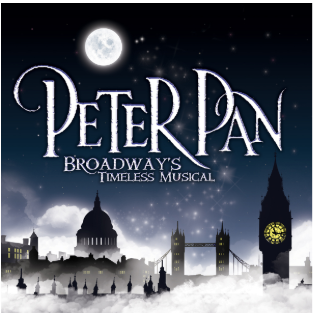 For a fun adventure into Neverland, see Peter Pan Jr.